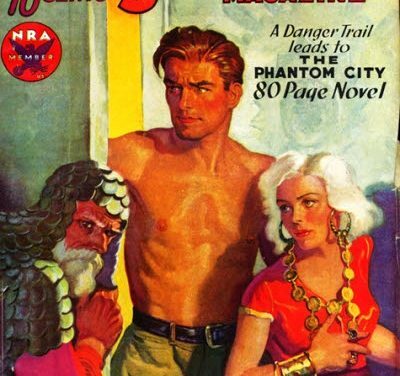 Arabian thieves led by the diabolically clever Molallet set one fiendish trap after another for Doc Savage and his mighty five. 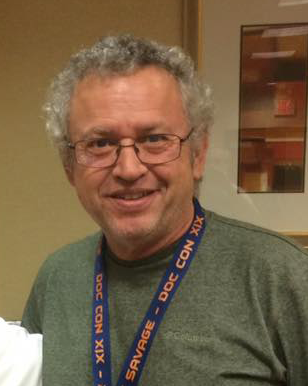 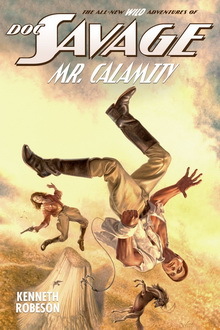 Only “Doc,” with his superhuman mental and physical powers, could have withstood this incredible ordeal of endurance which led from the cavern of the crying rock through the pitiless desert of Rub’ Al Khali and its Phantom City to a fight to the death against the last of a savage prehistoric race of white-haired beasts. 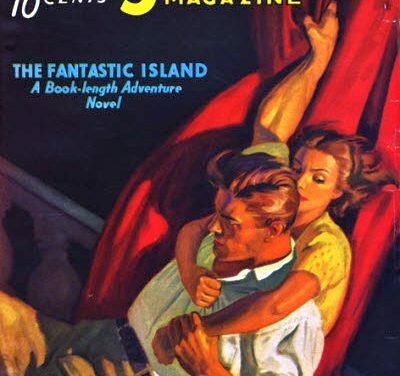 It looked just like any other deserted island. 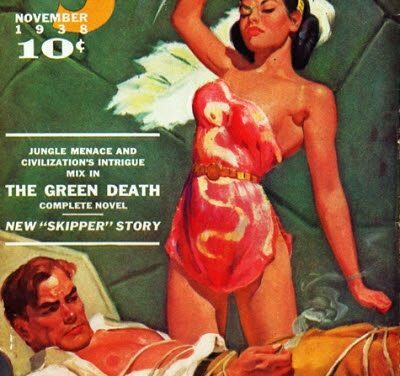 But hidden under its tropical sands was a monstrous slave empire, a vast underground network of death pits, giant carnivorous crabs and prehistoric beasts, ruled by the blood-crazed Count Ramadanoff. 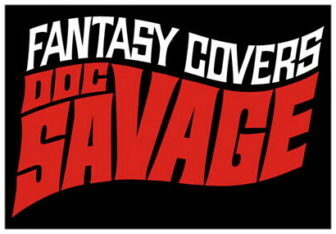 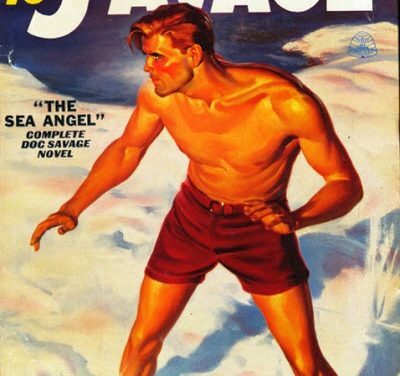 Blasting their way into this nightmare of horror, Doc Savage and “the fabulous five” embark on their most daring adventure. 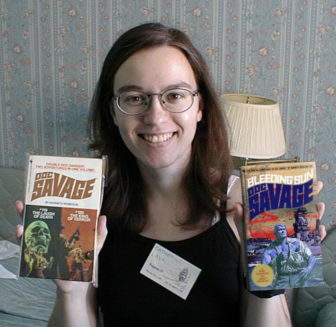 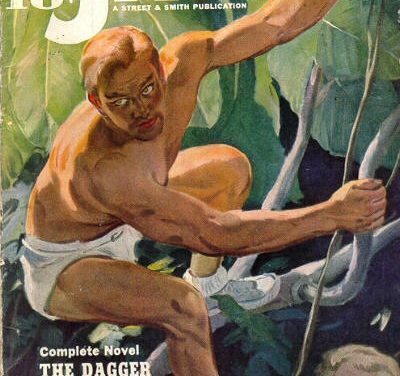 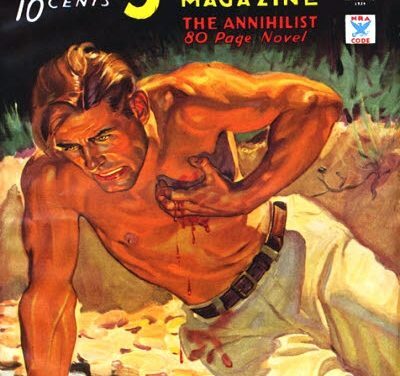 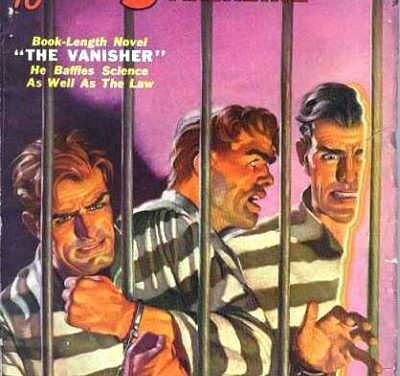 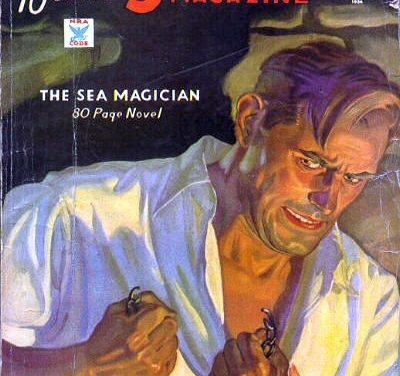 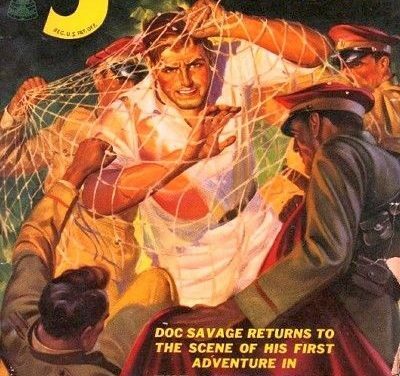 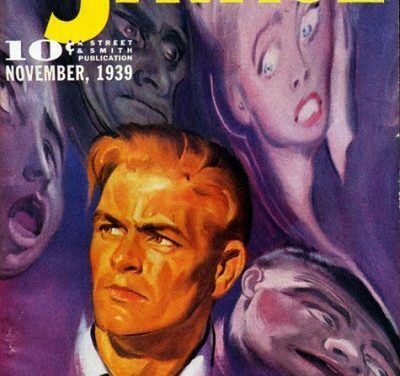 DOC SAVAGE IS ACCUSED OF MURDER! 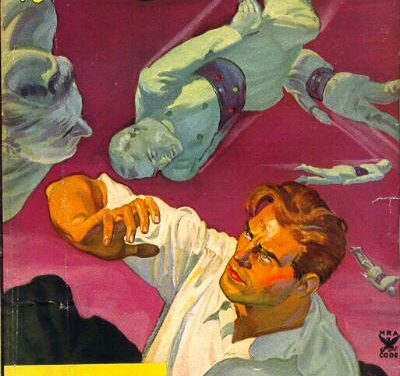 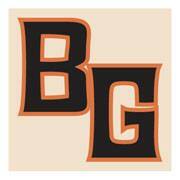 The bronze giant battles police, thugs, and a macabre foe in a spectacular struggle to save a city from total desolation. 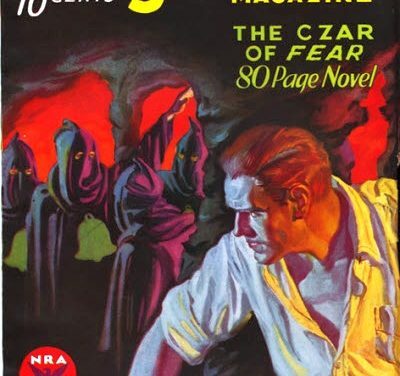 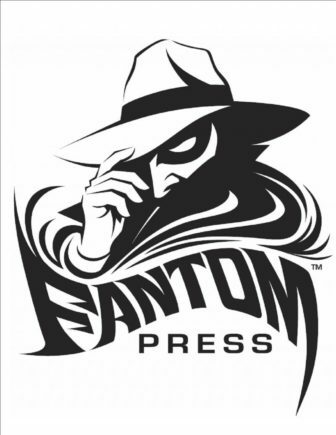 The Arch Enemy of Evil pits his tremendous resources against the grisly and mysterious Green Bell — the sinister hooded figure whose deadly genius threatens to destroy Doc and drive thousands of innocent people mad!